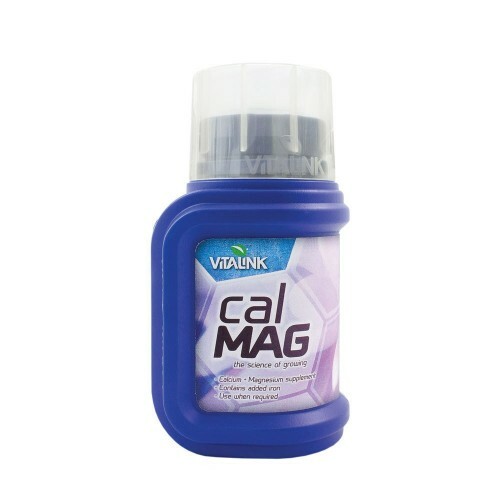 VitaLink Cal Mag is a Calcium and Magnesium supplement to help any gardener develop a healthier garden, especially in hydroponic house gardens. Magnesium and Calcium are the facilitators to growing plants that are healthier and have continuous nutrients. Calcium helps promote healthy cell structure and supports better nutrient absorption through the root to move throughout the plant systems. Many growth enzymes are triggered to help turn nitrogen into different forms of protein as Calcium has an ability to trigger enzymes to protect from overproduction to eliminate creating an unbalanced chemical reaction. It can also talk to other cells to help them perform properly and protect against diseases forming within the cells and plant structure. Magnesium is present in all green plants being part of their chlorophyll compounds and very important in the photosynthesis process. If there is a shortage of Magnesium in the plant it will not develop properly and will be small and frail. Magnesium also incorporates certain enzymes systems to help with the metallization of the plant feeding process. The delicate balancing act of Calcium and Magnesium is important to plant life cycles and make all the difference to plants during hydroponics. 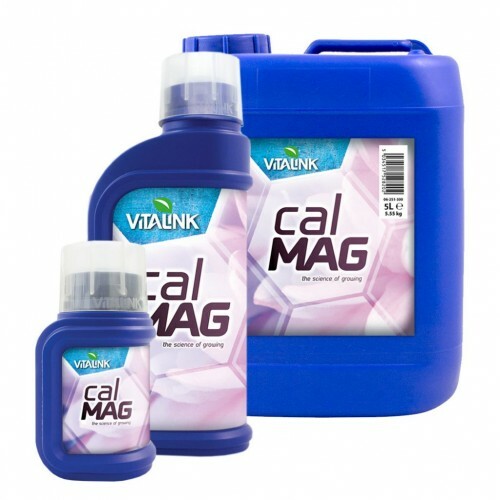 The use of VitaLink Cal Mag in the first couple of weeks of growth in higher quantities will help transform the plant from a vegetable state into are production machine by supplying powerful concentration volumes of Calcium and Magnesium which build more dense plants in a healthier state of growth. 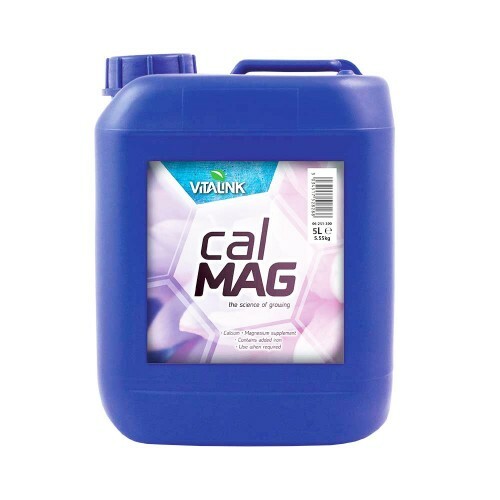 There are great benefits for using VitaLink Cal-Mag to help sustain excellent reproductive processes stimulating the growing of an abundance of buds, fruits and flowers. It is important to understand the correct balance needed between Magnesium and Calcium for strong growth. 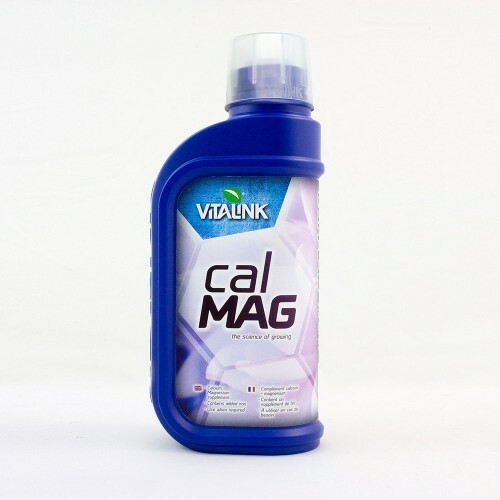 Grow World the leading retailer in the UK of VitaLink Cal-Mag offers 250mL, 1 Litre and 5 Litre bottles of Cal-Mag and can provide you with guidance and professional advice while delivering professional service to help in your entire hydroponic home gardening needs. Grow World works with hydroponic manufacturers of equipment, nutrients, supplements and products and provides the utmost in guidance in a professional manner.